Authentic factory tail lamps for 2007-2018 JK Wranglers are easy to install and are guaranteed to fit on your vehicle. 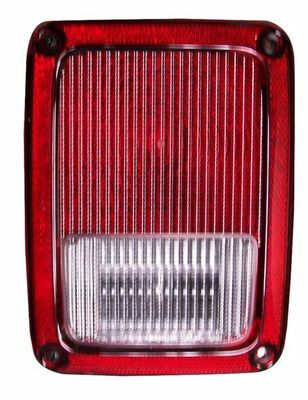 These Mopar tail lamps are sold individually; be sure to choose the correct side that you need from the menu. The left, driver side lamp is item number 55077891AF; the passenger side lamp is item number 55077890AF.